ARCATA – Take a quick disco nap and down a couple of espressos after OysterFest, as official and unofficial after parties put forth some delectable musical offerings the evening of Saturday, June 15. In case you missed the OysterFest or want more of the headlining bands, PC Productions presents featured OysterFest bands Yogoman Burning Band with Motherlode in the Official OysterFest After Party at the Jambalaya, 915 H St. Doors open at 9 p.m. and the show is for ages 21 and over. jambalayaarcata.com. Humboldt’s Guided by Voices tribute Tigerbomb! returns for their first show in eight years for an unofficial OysterFest After Party at The Alibi, 744 Ninth St. The Ian Fays, who had been scheduled to open, have been forced to cancel. Rocking local band Lord Ellis will open the show. Admission is $5, doors open at 10:30 p.m. and the show is for ages 21 and over. thealibi.com. Miracle Show perform top shelf Grateful Dead and Jerry Garcia Band tunes at Humbrews, 856 10th St. Doors open at 9 p.m. and the show is for ages 21 and over. humbrews.com. Those seeking something a little less raucous can partake of an intimate evening of music and storytelling with Arcata’s own singer/songwriter Brett McFarland, with opening acts Berel Alexander and BangGarang at the Arcata Playhouse, 1251 Ninth St. Admission is $5 to $15 sliding scale, with all proceeds going to CASA of Humboldt. Doors open at 8 p.m. arcataplayhouse.org. ATL Productions presents Vagabond Opera OysterFest Celebration with The Hip Joint at Arcata Theatre Lounge, 1036 G St. This promises to be an evening of rip-roaring contemporary cabaret with songs in 13 languages, top hats and notable flair. 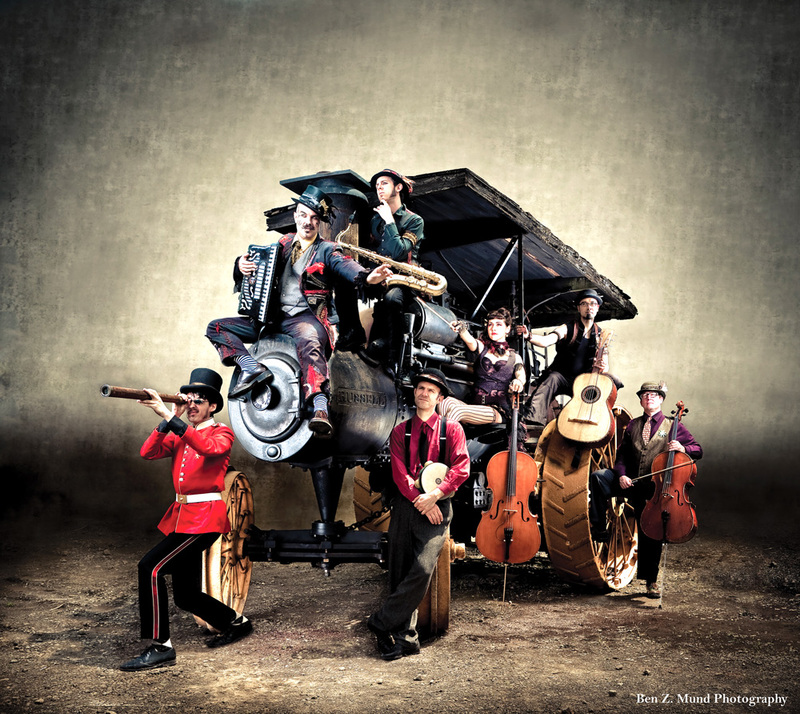 Weaving elements of Kurt Weil, Duke Ellington and Edith Piaf with absurdist flair, theatrics and an old world mood, Vagabond Opera features mutiple vocalists (including operatic tenor vocals), accordion, tenor saxophone, clarinet, cello, stand-up bass, and drums. For this one night, Vagabond Opera will be joined by the Hip Joint (describing themselves as “Slam Jazzy Funk Bop with a Cherry on Top!”), featuring members of The Absynth Quintet, Small Fish, The Striped Pig String Band, and Silver Hammer. Doors open at 7 p.m. Tickets are $12 at the door; $10 advanced tickets are available at Wildberries Marketplace, The Works in Eureka, Arcata Theatre online and at ATL. This show and is 21 and over. arcatatheater.com. This entry was posted on Friday, June 14th, 2013 at 1:58 pm	and is filed under Scene. You can follow any responses to this entry through the RSS 2.0 feed.